The fall athletic season is in full swing for the Northside College Prep women’s varsity volleyball (NCPVB) team. With the loss of key players Isabelle Banez (‘17) and Megan Kennedy (‘17), the team has had to make adjustments in order to carry over the success from the 2016 season. 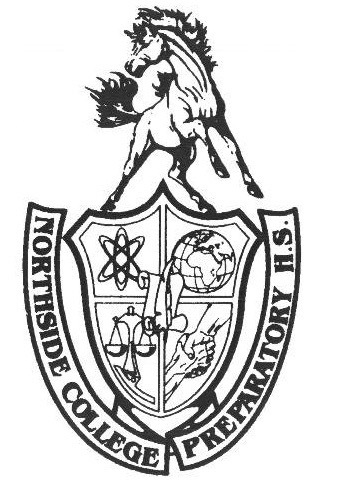 On September 7, 2017, Northside faced their crosstown rivals, the Whitney Young Dolphins, in their third game of conference play. The game would prove to be a true test to the Mustangs’ undefeated conference record (2-0). The match was slated to begin at 5:00 p.m.; however, due to dramatic transport issues (the bus struck a pedestrian on its way to Northside), the Dolphins showed up to the venue a half hour late. When asked about the incident, the Whitney Young head coach declined to comment. After arriving at around 5:30 p.m., warm ups commenced and the game started shortly after. Young had the height advantage over the Northside starting squad, with most of their players ranging from 5’11”-6’4”. Fortunately, what Northside lacked in height, they made up for with heart. The Dolphins came out strong, going on a 6-0 run in the first set. However, Northside came back, tightening the score at 7-4 and looked unfazed after a rocky start. Both teams traded blows, with #5 on the Dolphins earning her team a few points while the Mustang sibling duos of Kathryn Merck, Adv. 800, and Caroline Merck, Adv. 901, coupled with Abigail Smith, Adv. 902, and Camille Smith, Adv. 805, kept Northside in the game. Eventually, Young was able to take the first set from the home team with the score of 25-15. Despite the first set loss, the team remained focused. The Mustangs started the second set strong, keeping the line even with their opponents. The starting libero, Catherine DeVarenne, Adv. 805, played well in the back row and was able to serve a few key aces against the Dolphins. A combination of excellent blocks and accurate hits by Kathryn Merck and Chloe Fulton, Adv. 807, slowed the offensive attack of Young’s front row, while helping to kickstart Northside’s own offense. With the offense now heating up, the Mustangs tied the score at 13-13 midway through the second set. Although there were valiant efforts made by all members of the team, the Dolphins edged out the Mustangs 25-17, handing NCPVB their first loss in conference play. Despite suffering a heartbreaking loss to the Dolphins, NCPVB fans must remember that it is still early in the season. The team is now 2-2 (.500) in conference play (losing to Lincoln Park on Sept. 12). Though the team had a rocky start to the season, the future looks bright for the talented Mustangs. Because the city playoffs are a ways away, NCPVB has plenty of time to make the necessary adjustments they need to make a run for the city championship. A seasoned upper class squad paired with a growing underclassmen group makes them one of the top teams in Chicago Public Schools. The team will only get better, and fans of NCPVB should look forward to the coming success.